Fresh off of their European festival summer, PRONG are planning to get back on the road this September in North America in support of their latest release, RUINING LIVES, which came out earlier this year via SPV/Steamhammer. The tour begins September 10th in Los Angeles, CA and runs through October 14th in San Francisco, CA. PRONG will be playing along with Overkill for many of these dates. After a brief break, the band will be taking part in Slipknot's "Knotfest" October 25th in San Bernardino, CA. 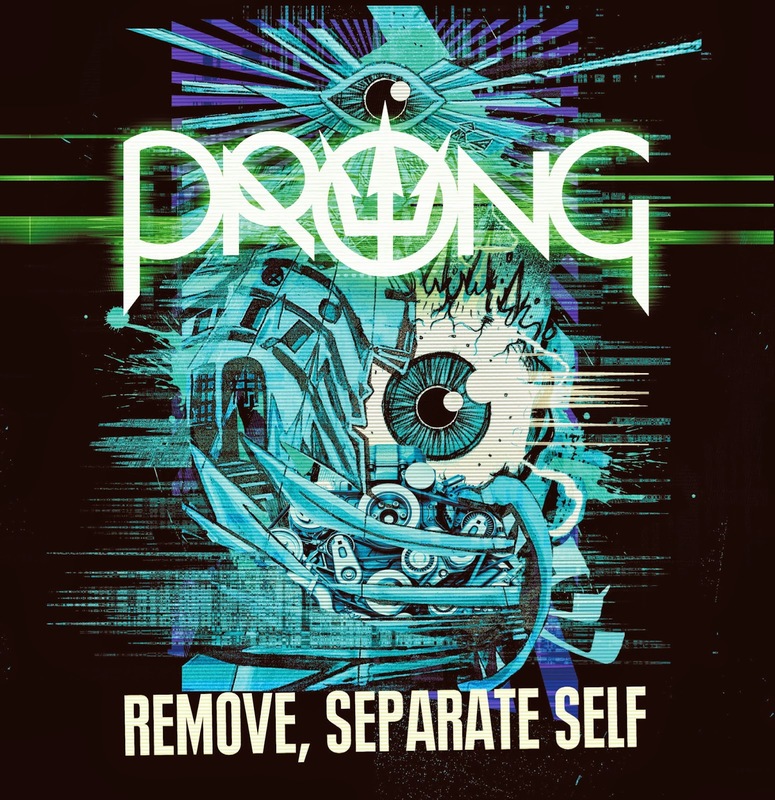 Tommy Victor: "PRONG has made a video for the song "Remove, Separate Self", the new single from our recent LP Ruining Lives. The song and the video are distinctively PRONG, with a soul-searching and apocalyptic vibe. As a follow up to "Turnover" we will release it on 7" vinyl as well. The single and video will correspond with our U.S. /Canada tour starting Sept 10th through Oct. 14th. Enjoy the video and we'll see you out on the road!" SPV/Steamhammer will be releasing a new digital and 7" single of "Remove, Separate Self". There will be two versions of the digital single which will be released September 12th. The 7" will be released on October 24th. Matt Heafy about the "de-mix" he created: "With "Remove, Separate Self" - I was initially engulfed by hints of images and characteristics of a futuristic, dystopian world. Whether that was the initial intent of the piece or it was meant to be something entirely different, that became the feeling I kept coming back to. Perhaps with the main line - the title itself - the idea of "separating yourself" made me think of unplugging oneself from something larger; whether metaphorically from an old way of life or literally in some sort of mecha-future. The idea was to take it one step further, to take the song itself, components of it, and a few secret ingredients, and create that world a little further that I imagined in the first place. Sometimes "remixes" do it right, but I wanted to take a completely different approach to what people think a "remix" is in the first place, even one's idea of what a song should sound like."